Okay let’s just call these what they are….BOMB POPS!!!! 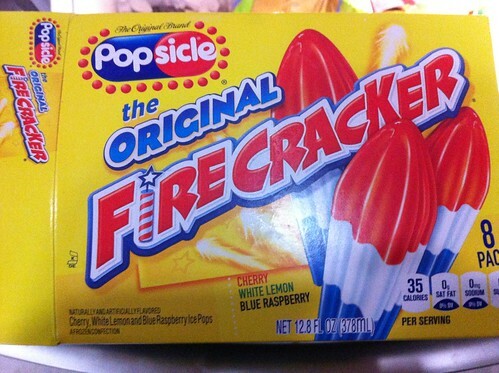 Maybe it’s a legal name or something…but ..sigh….Popsicle brand calls these “The Original Firecracker”…..sigh…again. Whatever. All I know is whenever I see these in the frozen-treat aisle, I shout-out “BOOOMMMMMMMBBBBB POOOOOPPPP!!! !” in my head. Sometimes out loud. Mostly never in my head. 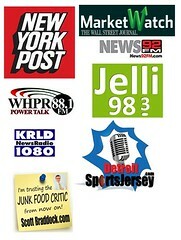 Mostly out loud in the store. Anyway these are classic and hit the spot when you got that sweet-tooth. These are on the smaller size…single serving..and they are perfect. Trust me, you have totally forgotten how big a damn real Bomb Pop is and would never finish one in a single-sitting. So these are exactly the droids you are looking for.